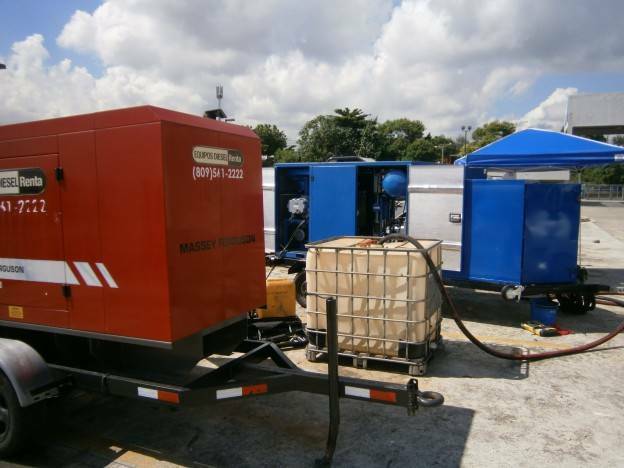 September 2013 – GlobeCore supplies yet another oil treatment unit into the Central America, specifically to the Dominican Republic. It doesn’t seem at all special: just one of hundreds of plants, nothing sensational, but this specific deal deserves a bit more than one line in the list of references. Why? Well, first of all, this is the first sale to the Dominican Republic. Our rich and positive experience in the Central and South America has yet again been enhanced by pleasant impressions from another country, thanks to the great guys at INPROCA. Second, the supplied system is not entirely typical. 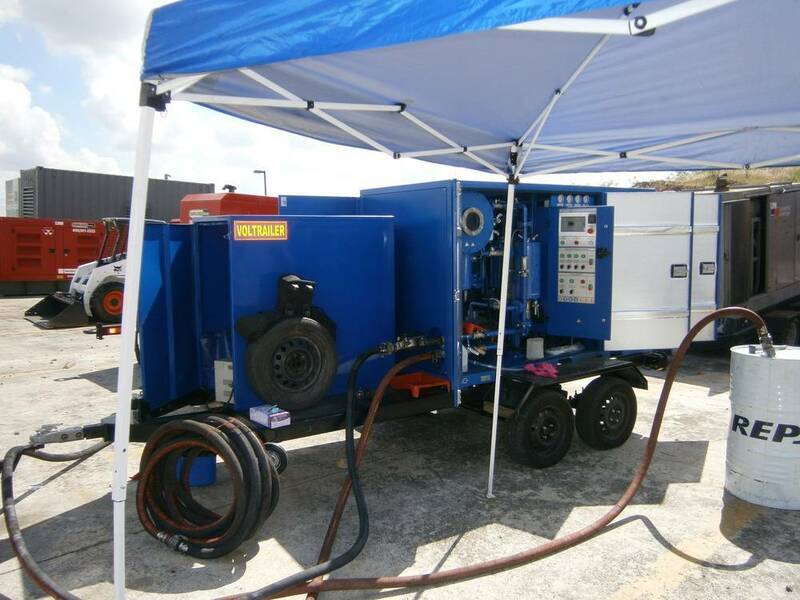 Our talks with INPROCA lead to the creation of a relatively inexpensive and versatile system for energy sector service companies, which allows not only thermal and vacuum treatment of dielectric oil, but also high vacuum transformer evacuation. Another important point is that the CMM2.2 oil plant combined with BV500 vacuum package – is a mobile system, which allows quick and easy transportation to the outdoor transformers in need of servicing. Details of the unit’s specifications will soon be available from the corresponding section of our website. 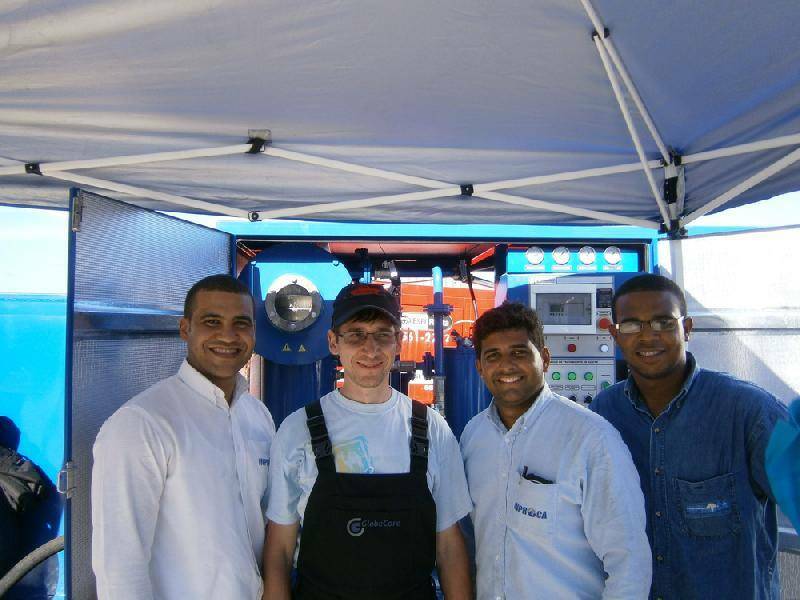 For startup and commissioning, as well as training of the client’s personnel, one of the GlobeCore engineers travelled to INPROCA. It is worth mentioning that this type of transformer service equipment is quite simple in setup and operation, and, given the high competence of INPROCA engineering staff, a chance of doubts on their part was next to zero. Nonetheless, the need to commission the oil purification unit correctly, observing all manufacturer’s instructions, prevailed. This was how we met in person, and the impressions of that meeting were exceptionally pleasant and promising of new cooperation in the future. Hector Herrera, Technical Services Chief Engineer: testing of the equipment ran together with Aleksander, were satisfactory. We appreciate Aleksandr’s assistance and would like to emphasize the high quality of his work.